Several people I know have had a nasty cough this autumn that they are finding difficult to shift. As it seems like there is something going around, I thought I would share this herbal cough syrup recipe incase any of you are struggling with the same thing. A syrup such as this one is lovely if your cough has both dry, tickly phases as well as wetter, more productive ones, as there are herbs here that wll address both states. As a syrup is slippery and sweet in nature though I would avoid it if your cough is very wet and you tend to be an all round damp sort of person. In this case tinctures and teas would probably suit you better. As I have said before, don’t be put off if you don’t have all these herbs. A classic cough syrup recipe contains just liquorice and thyme herbs so you could try this if you wanted to make it more simple. I don’t normally use a lot of sugar in the recipes I make but it does work best for this syrup unless you plan to use it all up within a couple of months and store it in the fridge, in which case honey should be fine as an alternative, sticking to equal parts raw honey to herbal liquid. Place the roots in a pan along with the aniseed and cinnamon sticks and cover with 1 litre of water. Bring to the boil and then turn down immediately to a gentle simmer, putting the lid on the pan to prevent too much evaporation. Simmer for 20 mins then turn off the heat and add the thyme and mullein allowing to infuse for a further 15 mins. When cooled enough to handle, strain the herbs out and measure how much liquid you have. You should be left with between 750ml and 1 litre. Return this liquid to the pan along with an equal quantity in grams of soft dark brown sugar. So if you have 800ml liquid you will need to add 800g sugar and so on. 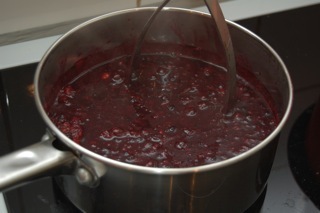 Return to a simmer, stirring continually then remove from the heat and stir as it cools and thickens. Add in the drops of peppermint essential oil and stir well to ensure it is properly mixed in. Bottle in sterilised bottles. 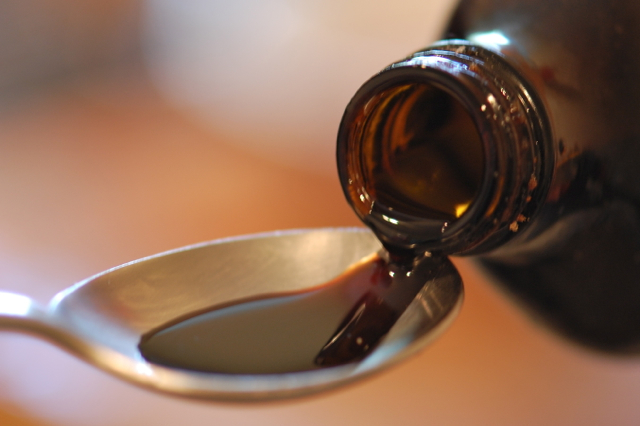 You can take a tablespoon of this syrup as needed up to 8 times a day. 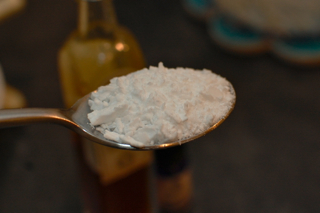 For children younger than 12 make this a teaspoon and those between 2 and 6 a half teaspoon. It makes a delicious mix so is a most pleasurable way to banish the season’s ailments. Wishing you all good health! Stretch marks are something that many many women are keen to avoid in pregnancy and there are a number of ways we can support the integrity of the skin to minimise their presence. Stretch marks in themselves are not harmful to us and could be seen as a beautiful testament to our journey to motherhood but, for better or for worse, we live in a culture where the archetype of the ‘maiden’ is held up as the ideal of beauty and most of us are not keen to loose it too quickly. Leaving aside such philosophical debate, in this post I hope to share some information with you about what stretch marks are and how we can help to prevent them, as well as sharing some nice recipes for bump balms and oil blends that you can make up at home. Stretch marks, or striae, occur in somewhere between 50 and 80% of women during pregnancy, depending on which sources you believe, and result from a tearing of the dermis. This is the middle layer of the skin which is made up of connective tissue and contains collagen and elastin fibers which help the skin to stretch and heal. The tears leave scars which appear purple or red to begin with but usually fade to silvery white. Our skin is designed to be able to stretch and if there is adequate support in the dermis then marks will not occur. Despite youth being on their side, stretch marks are most likely to appear in teenage mums, possibly because of the hormonal changes that are already going on in their bodies. Steroid hormones called glucocorticoids limit the production of collagen and elastin leaving skin more likely to tear as it becomes less elastic. This is why stretch marks can also occur as a side effect of prolonged use of steroid creams. Many books and websites claim that whether or not you get stretch marks is entirely genetic and no amount of applying creams or oils will make any difference. This is not completely accurate as, though genetics do play an important role, the few studies done have shown that topical application does help to prevent stretch marks occurring. A German study found that one third of women using a specially formulated cream developed stretch marks as opposed to two thirds in the control group and in one review, two studies were compared and both showed beneficial results. The conclusion was, “stretch marks may be prevented in some women by daily massage but it is unclear if any particular ingredients bring special benefits.” You can read the full review here if you so wish. Luckily there are foods, herbs, base oils and essential oils which all help to prevent stretch marks and aid in keeping skin supple and supported. Two of the most important herbs used to prevent stretch marks are calendula (Calendula officinalis) and gotu kola (Centella asiatica). These can both be used in massage as herbal infused oils. 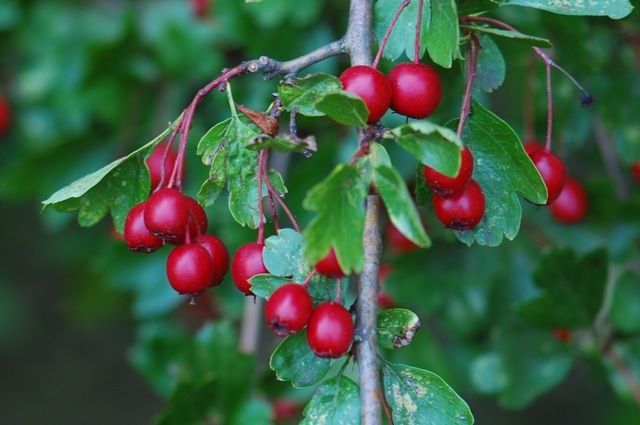 Antioxidant rich herbs such as hawthorn, elderberry and bilberry are useful in preventing the breakdown of collagen and these can be taken in teas whilst other deeply coloured berries can be enjoyed as part of the diet. Vitamin C is an important co-factor in collagen production and is found in peppers, tomatoes, dark green leafy veg, berries and many other fruits. Anyone pregnant at this time of year is in luck as rosehips are abundant in Vitamin C as well as abundant in the hedgerows right now. Adequate protein intake is also very important. Here are two simple recipes that you can make up with a variety of different ingredients to suit yourself. First I’ll give the basic outline of the recipe and then a list of possible options below. In the past many people have asked me if they can substitute some of the ingredients in a recipe for others so hopefully this will show you some of the many possibilities. Of course there are many more base oils that you could use but these are the ones I have found to be most useful. Massaging your abdomen is such a beautiful way to connect with your own body and your growing baby and is the perfect opportunity to send love to you both. Mix all ingredients together and bottle. Massage onto abdomen hips and breasts once or twice a day. This makes for a rich balm so only a small amount is needed but it’s very nourishing and one I really enjoy using. Melt the butters in a bain marie then add the liquid oils in a slow drizzle until fully incorporated. Let cool a little but not enough to begin setting then add the vitamin E oil and essential oils. Mix well, pour into jars and allow to set fully before using. One tip when choosing base oils is to check for the smell as some high quality oils will have a strong smell of nuts or seeds. If so make sure to mix small quantities with other oils that don’t smell so strongly otherwise you will mask the aroma of the essential oils as they are in a low dilution. Be aware that no oil should ever smell off or rancid however. Rich Oils: These oils are particularly nourishing and high in nutrients that can literally work to feed the skin. They have a thick texture however which is why I always recommend mixing them with lighter oils. Rich oils that would be particularly nice in a bump rub include avocado, rosehip, macadamia nut, hemp seed and wheatgerm. GLA rich oils: Evening primrose or borage both contain high levels of GLAs and are a useful addition to a bump rub in small quantities. Make sure you buy these oils very fresh as they have a shelf life of only six months. It is always wise to store them in the fridge before use. Light Oils: Jojoba, apricot, almond, hazelnut or grapeseed (refined) would all work well as lighter oils to make your finished product easier to apply. They also contain many nutrients of their own. 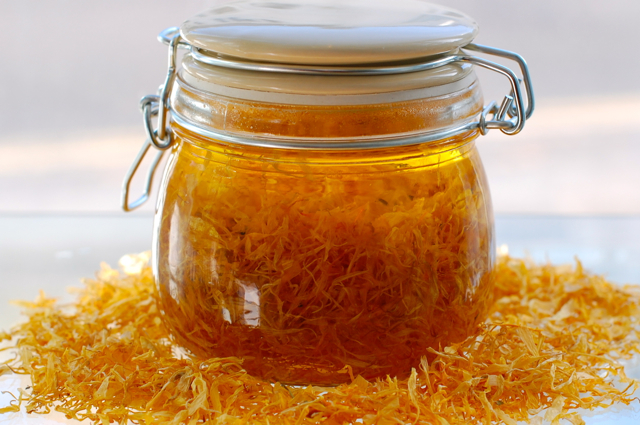 Macerated Oils: herbal infused oils such as calendula or gotu kola are the obvious ones to go for but chamomile, lavender or rose would also be lovely choices here. 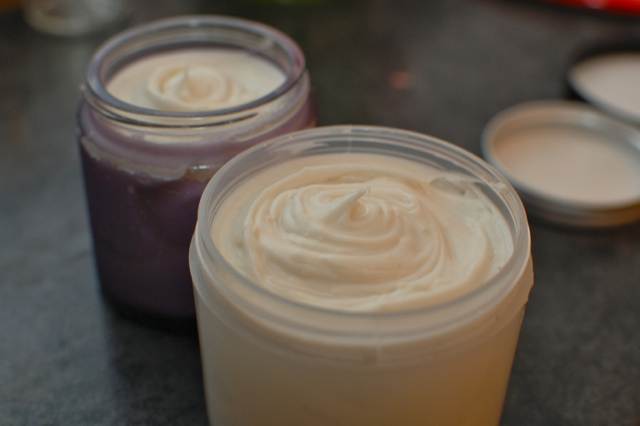 Butters: Coconut, cacao, shea or mango butter are all lovely on the skin. 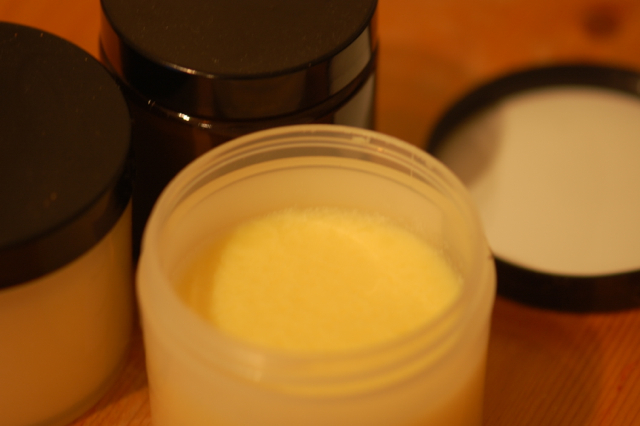 Choose coconut or mango if you want something lighter, cacao for a firmer texture and shea for a creamy feel. Essential Oils: Many essential oils are best avoided during pregnancy until the birth itself when they can play an important role. However there are several that are very safe and fine to use from your second trimester on in low percentages like in this recipe. For these rubs I would stick to one or a combination of the following oils; mandarin, neroli, tangerine, lavender and ylang ylang. If you want something refreshing I would use mandarin and tangerine or something more relaxing for the evening could perhaps contain lavender and neroli. Ylang ylang gives a beautiful floral and exotic smell. Neroli is a very expensive essential oil but it is prized for it’s regenerative abilities so is ideal in preventing stretch marks. Do leave a comment below if you have any queries or anything I have said is unclear. After my recent post on aromatics several people commented on the herbal honeys I mentioned which are surely one of the most delicious ways to enjoy taking herbs. Although I have talked of them often in other posts, I thought it time to focus on herbal infused honeys more specifically and explain a little more about how to make and use them. Herbs that make lovely infused honeys include most of the aromatics- especially those with floral, spicy or herby tastes. Some of my favourites are plants that are at their best over the summer months including rose, sage, thyme, lemon balm, mint, lavender, chamomile or lime blossom. It is usually nicest to keep them plain but sometimes it works well to add a complimentary flavour, cinnamon or cardamom for example is delicious with rose petal honey. 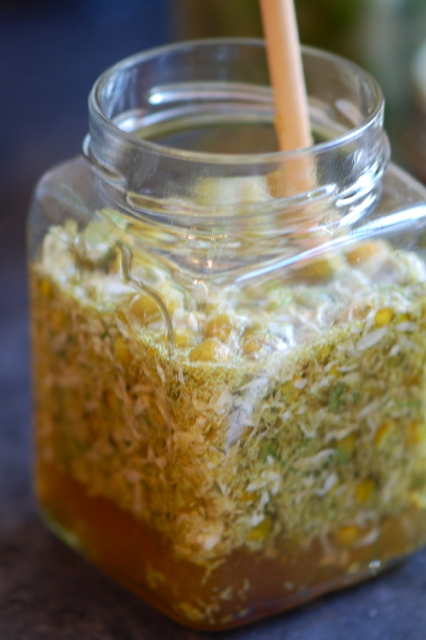 Making a herbal infused honey is very straight forward. 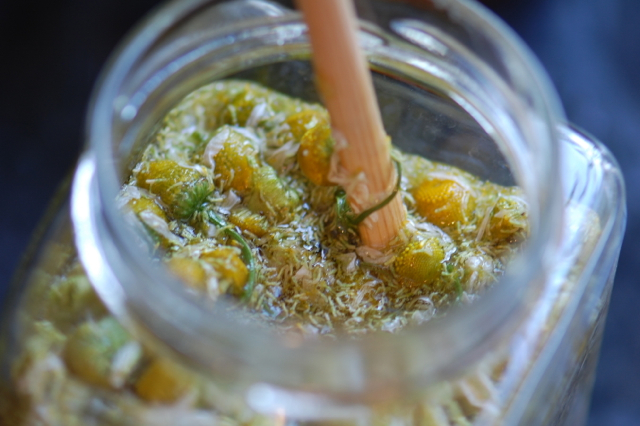 All you need is a jar, a chopstick or spoon, some honey and your herb of choice. You can use dried or fresh herbs. The benefit of fresh herbs is that they are softer so will be nicer if left in the honey where as dried herbs will be a bit chewy and you will therefore probably want to strain them out before eating. Also, the aromatic quality of freshly picked herbs is often much more vibrant. 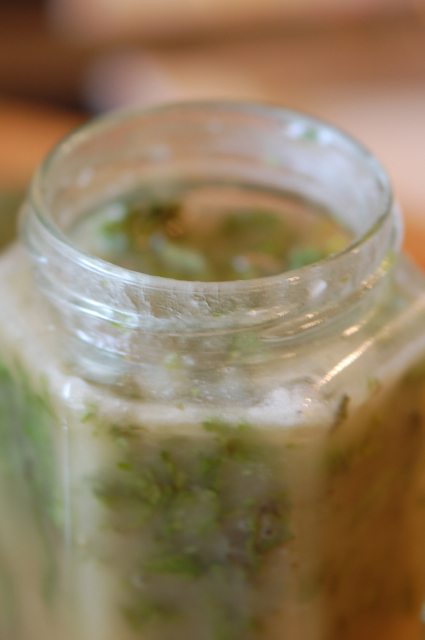 The drawback of fresh herbs is that they can make your honey more liquid, which is why it is good to use a thicker honey for infusing fresh herbs into. You can use set or runny honey but if using set you’ll want to warm it in a pan of water to liquefy it before pouring. Just warm it enough to stir and pour, never overheat honey, as it will destroy the beneficial enzymes. Always get good quality honey from a reputable supplier where you know the bees are well cared for. 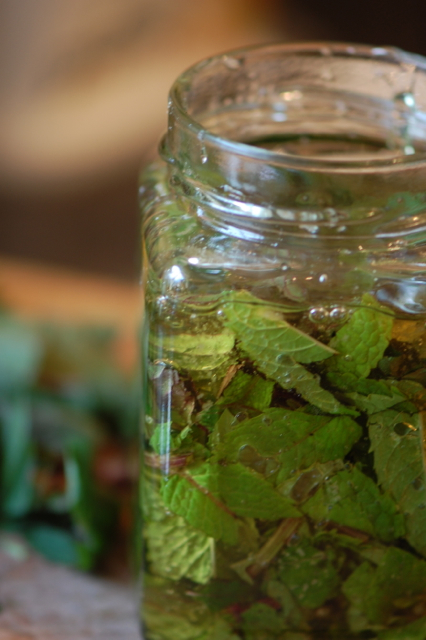 First lightly pack your jar with herbs. Don’t cram the plant material in like you would if making a tincture, as you want plenty of space for the honey to go in and move around. Next pour your honey over the top, stopping every now and then to give it a good stir. When you have fully covered all the plant material with honey, give it another stir and leave on the side for a fortnight before eating, stirring every couple of days or so to re-integrate the plant material. If you wish to strain the plant material out then leave it for a month before straining. 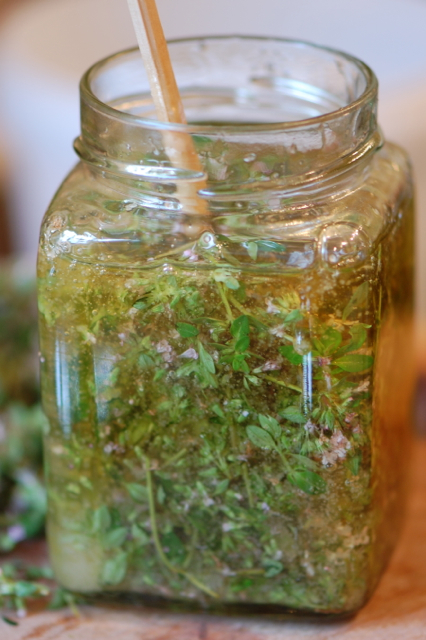 For softer plant parts like rose petals or thinly sliced lemon balm leaves you can happily leave the plant material in the honey and enjoy just as it is however for tougher plants or those with bits of woody stem, you’ll probably be better of straining it out through a coarse sieve. Gently warm the jar with the infused honey in before you strain it to make sure you get the most honey out of the plant material. You can keep the spent herbs in the fridge for a few days and infuse in hot water to make sweet teas if you wish. Give it a good stir! Herbal honeys can be eaten as a delicious food, either alone, on bread or crackers, in salad dressings or teas or anything else you fancy. They can also be used medicinally. Though weaker than a tincture, they will still carry the medicinal qualities of the herbs and can be taken internally or used externally where they are particularly beneficial for minor wounds or burns. Lavender or chamomile are particularly nice for this purpose. Sage or thyme honeys are lovely taken for a sore throat and chamomile can soothe digestive problems that are exacerbated by anxiety. The fact that these honeys are both gentle and delicious makes them fantastic options for children, though remember that many people advise against the use of honey in children under two. They can also be used cosmetically, either as a simple face wash or as a soothing anti-bacterial face mask. I sometimes mix a small teaspoon of honey with a little ground almonds to make a skin brightening (and delicious!) facial scrub. 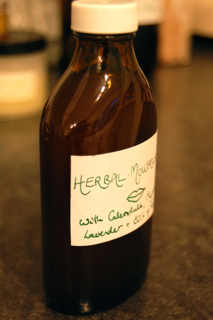 There was also a lovely post recently on Nettlejuice about honey medicine which you can read here. 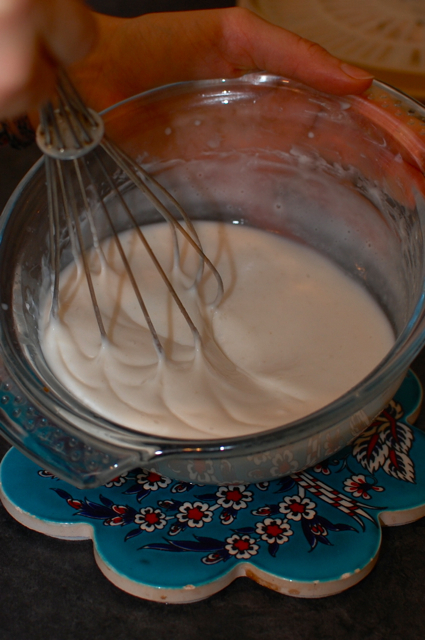 It’s time for the next instalment of our cream making recipes, this one using emulsifying wax. Emulsifying wax can be made from either vegetable wax or petroleum wax mixed with a detergent, so do ensure that you know which you are getting. I always use the vegetable derived one which is what most herbal suppliers will be selling. It comes as a flaky white solid which melts at fairly low temperatures and helps to thicken and emulsify fats and waters to make a cream. 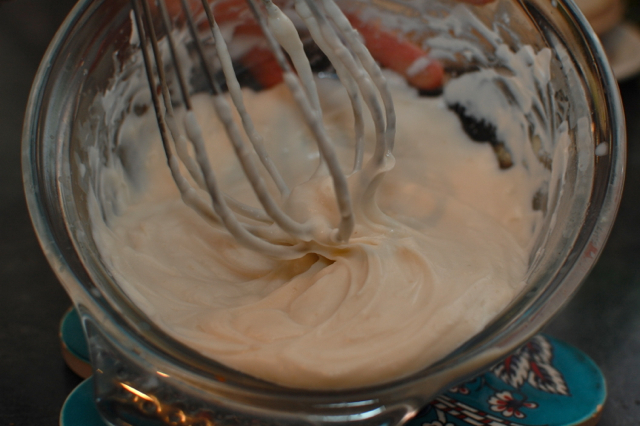 You will see from the recipe that this cream includes a much higher proportion of water compared to the last one I posted about, enabling you to make a cream that is not quite so rich and sinks in easily. Here in the UK many herbal suppliers sell emulsifying wax including Baldwins here, Neal’s Yard here, Woodland herbs here and Aromantic here. All these will ship internationally but I’m sure most countries will have their own suppliers. 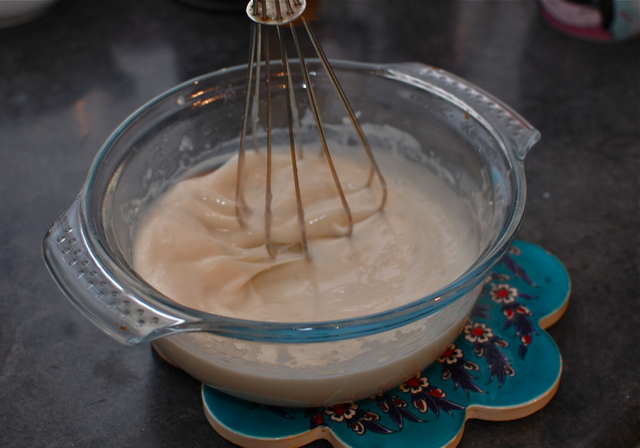 Pros to this cream include that it is simple and potentially quite cheap to make, it doesn’t involve any special equipment, just a few bowls and a whisk, and it is more stable than the cream without emulsifiers which can tend to sweat when exposed to temperature fluctuations. Cons are that it is not completely natural and can sometimes tend to leave a slight residue behind when massaged into the skin. With this recipe it’s important to use a preservative because it has a high water content and will potentially go off quite quickly. This recipe will make about about half the quantity of the last one incase you didn’t want to experiment with quite such a large amount. 200ml of spring water, floral water or herbal tea. First melt the beeswax and emulsifying wax in a bain marie or double boiler adding the oil and waiting until it is all completely melted. Whilst that is happening place the waters in another pan and heat until fairly hot but not boiling. When both are ready turn the oils off the heat and place the waters in a heat proof jug and begin to pour very slowly into the oil mixture whisking vigorously as you go. Keep pouring and whisking until all the waters are incorporated into the oils. As they are still hot they will have a thin texture, a bit like milk. Keep whisking until it starts to thicken, then add in your vitamin E, essential oils and preservatives (I use Preservative Eco sold by Aromantic). Keep stirring, it should end up fairly firm and deliciously creamy, by which time your arms will be ready to fall off! Spoon into jars, swirl the top and that’s all there is to it! I love to make up blends of herbal oils and often give the people I see a little bottle of something to use externally alongside taking their herbal tinctures or teas. It could be a neck and shoulder rub, a stomach massage oil, a foot massage oil or something for helping to heal scar tissue. I believe that taking some time to massage a part of your body that needs some love and attention is a wonderful technique for healing as it brings our awareness to the places that need it and encourages an attitude of self care and nurturing. The blend I have given out more than any other is my breast massage oil so I thought I would share the recipe with you here. Before I started to see clients I don’t think I was really aware of how many women suffer from sore or tender breasts, often with lumps and swellings, which can vary a lot with hormonal fluctuations throughout their cycle. The breasts are made up of glandular tissue (which includes lymph nodes and milk producing lobes), fatty tissue and fibrous or connective tissue. The lymphatic system does not contain its own pump so it relies on the movement of muscles to keep it flowing nicely around the body. As there are no actual muscles within the breasts themselves, massage becomes even more important for healthy breasts and lymphatics. You can use any nice base oils to perform the massage but herbal infused oils add extra therapeutic value alongside that special something which I like to think of as the plant’s own consciousness. The base of my breast massage oil is violet (Viola odorata) infused in sweet almond oil, though a good quality, organic sunflower oil could also be used quite happily. 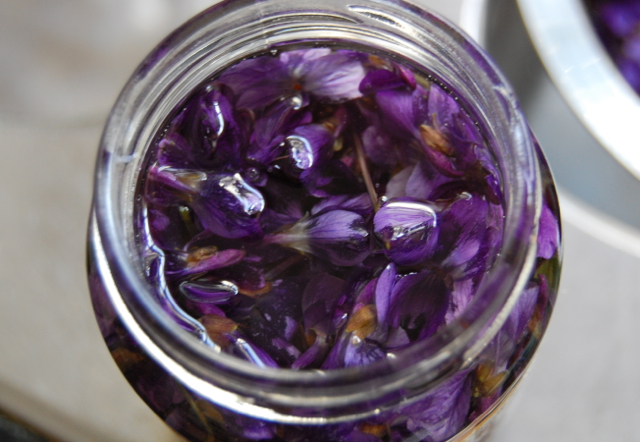 If you don’t have any violet infused oil (and now is of course the wrong time to be making it from fresh) you can use dried plant material infused into the oil using the heat method which I outlined in this post. I personally prefer the fresh oil because the flowers impart a delightfully gentle aroma but using the dried leaf will still be effective. 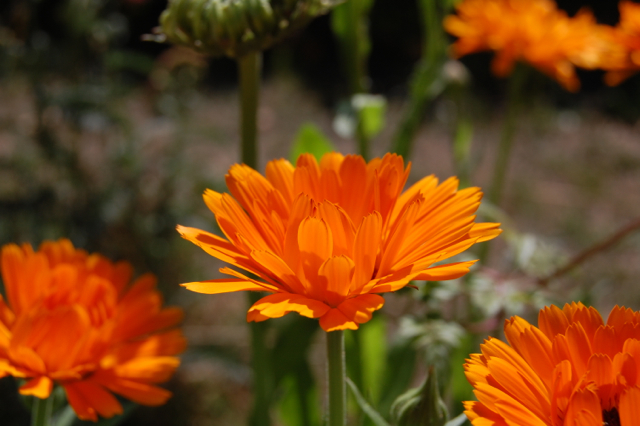 Calendula oil, which can be found in many health food shops, makes a lovely substitution, especially when mixed 50/50 with lavender infused oil which can be made from dried flowers all year round. A small amount of yarrow or chamomile infused oil makes a useful addition if there is inflammation. Rosemary infused oil can be added at about 25% if there is a need to increase circulation and many people also recommend dandelion flower infused oil. 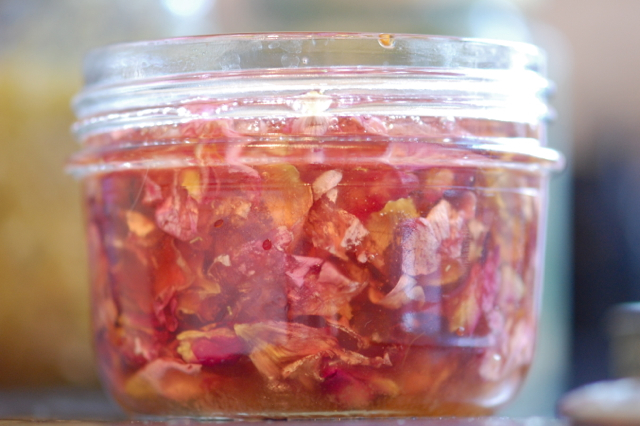 Rose infused oil is another delightful addition, though I tend to stick with a few drops of the essential oil as it has a stronger aroma which resonates so much with the heart and with feelings of self-love. You can also add castor oil which is useful for removing congestion but, as it’s ridiculously sticky, I’d keep it to around 5%. If you really want to keep things simple then stick with a plain almond, apricot or coconut oil, all of which have wonderful healing properties of their own. Combine all the ingredients in a 30ml bottle and use to massage the breasts regularly. Geranium essential oil is one of the best oils for balancing the endocrine system so is lovely for sore breasts due to fluctuating hormone levels. It also has a very balancing effect on the mind and emotions too. 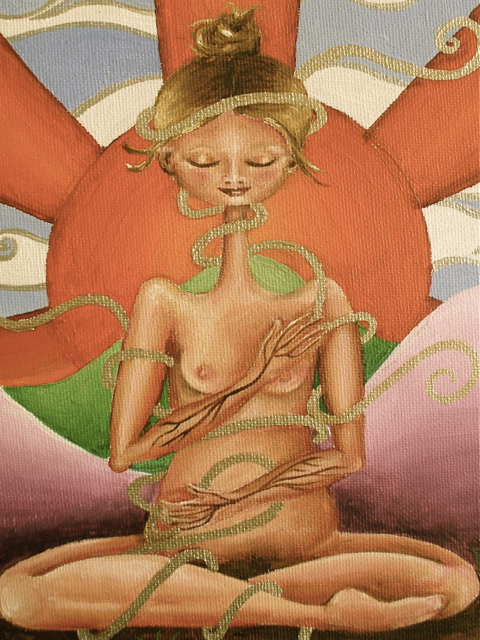 When massaging the breasts I like to do a combination of circular movements with gentle kneading and a sort of pulsing action which is great at getting the lymph flowing. There is a good video here which outlines some techniques for this lymphatic pumping action. Another great tip for getting the lymphatics flowing well in the breast area is to splash them with cold water after a hot bath or shower. Alternatively you can alternate a few splashes of hot water (though not unbearable of course) with cold water for a few minutes. 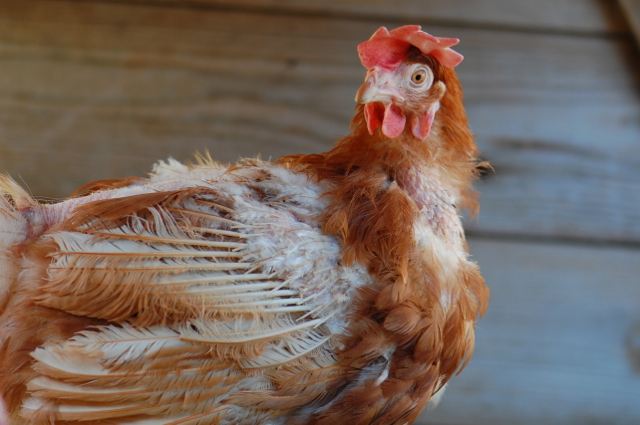 Finally, (in something of an aside) while we are on the subject of lovely ladies with voluptuous breasts, regular readers of this blog may remember the rescue hens we adopted during the summer. 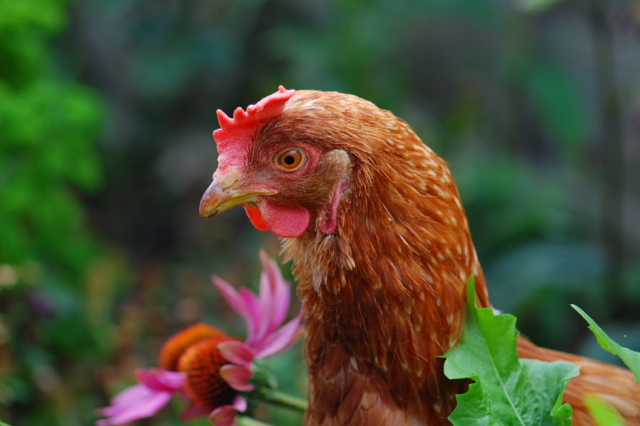 One of them, the delightful Primrose, has shot to stardom and is appearing in the British Hen Welfare Trust’s 2012 calendar, having fought off hundreds of other hopefuls to become Miss June. And this is her calendar girl shot, only a couple of months later. All the money from the sale of the calendars goes to support the charity, so if you or someone you know is a hen lover, you can pick up a copy here! After spending this morning sorting out receipts and trying to get my tax return organised I was more than ready to pass a bit of time in the garden and then come indoors to make up some nice nurturing body care recipes. First up was some face washing grains. Washing grains have a long history of use in various cultures and are essentially a mix of powdered clays often with ground almonds, oats or similar gently exfoliating natural substances. My first encounter with them was when I was a teenager and used The Body Shop’s Japanese Washing Grains (anyone remember them!). Rosemary Gladstar also has a lovely recipe which she calls her ‘Miracle Grains’ which this version is loosely based on. 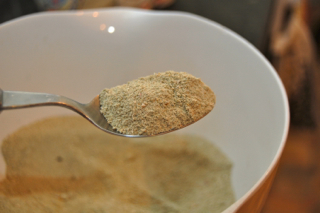 Grind the herbs and oats in a blender to a fine powder then stir in the clays and ground almonds. You can substitute the herbs for anything you fancy, elderflowers and cowslips are two of my other favourite skin herbs. I made double this quantity so I could store half the powder dried to be mixed up at a later date. The other half I mixed well with the following ingredients. 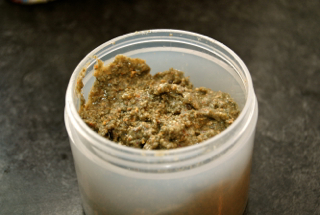 This gave me a thick paste which can be easily mixed with a bit of water and massaged onto damp skin, then washed off. Don’t mix your grains with water in the pot unless you plan to use them up within a week as it will encourage spoiling. This way they should last a couple of months as long as they are kept in a cool dry place. I used them this evening and my skin now feels very smooth! My husband has just tried them too and his verdict was ‘amazing’, which is always good to hear. Being a general disliker of dentists, I’ve wanted to make up a herbal mouthwash for a while and finally got round to it this evening. I used the following tinctures and essential oils which I’ll keep undiluted in the bottle, mixing 2.5 ml with a little water just prior to use. I will then swill for as long as I can manage and spit out. This, if used regularly, should keep the gums and teeth in good nick and prevent any unnecessary trips to the evil ones in white coats with their frightening array of torture implements. I hope you had a good Sunday too. N.B. Mint essential oils should be avoided by anyone with epilepsy and in pregnancy or with children under 12. The Harvest Moon shone bright and beautiful in the sky at the beginning of the week and it seems there is no denying it any longer, autumn is here. Autumn signifies many things to many people but for me, aside from its obvious beauty, it represents a time of community and friendship. I normally like to go out harvesting alone and wander in silence amongst the plants and the trees but in autumn there is something so special about gathering together with a friend and filling your baskets with the glorious bounty of the land. Now is the final celebration of the abundance and generosity of Mother Nature before we start to withdraw against the harsh onslaught of the winter months and what better way to celebrate than with each other. 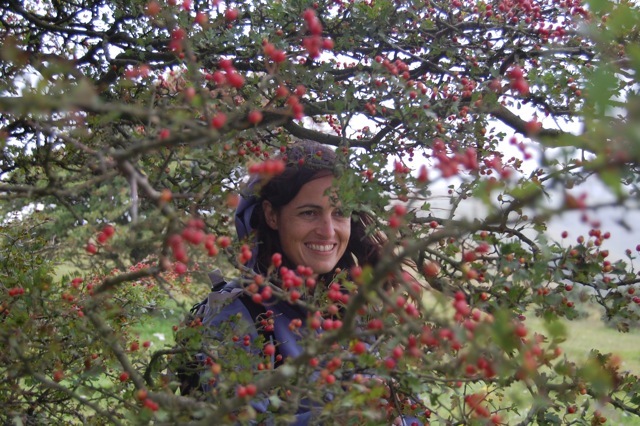 I have been blessed to go out berry harvesting with two lovely friends and wonderful herbalists, Therri and Mindy this month and have spend a great afternoon with my lovely husband collecting Hawthorn berries and sloes. 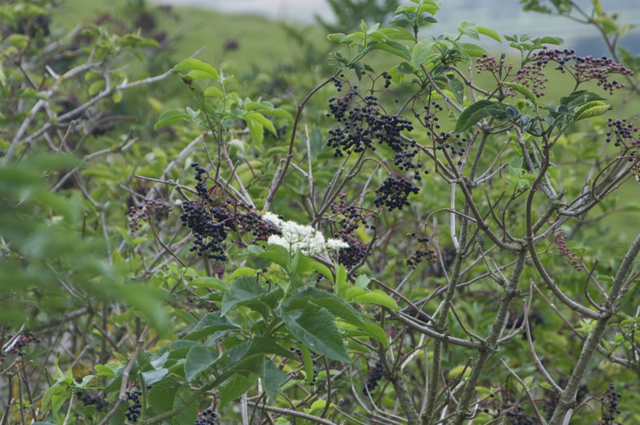 When up in my favourite elder picking spot we noticed both flower and fruit on the same tree. This is something I have never seen before, have you? Excuse the poor quality photo, the light wasn’t great that day. Flower and berries on the wise Elder Mother. The result of these outings was lovely fresh tinctures, dried berries and lots of delicious syrups! 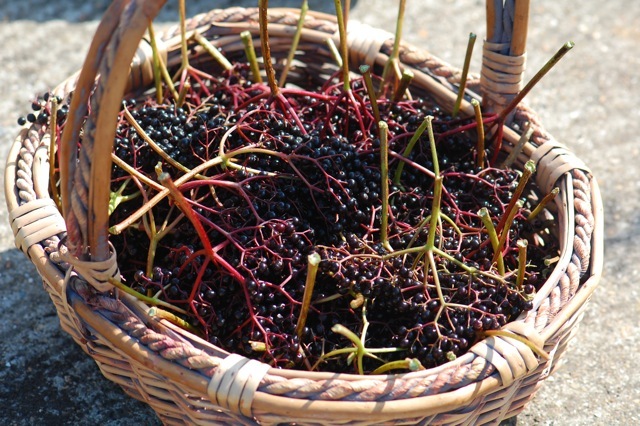 My first syrup making session was with elderberry, unbeatable for tastiness and immune supporting goodness for the colder months. 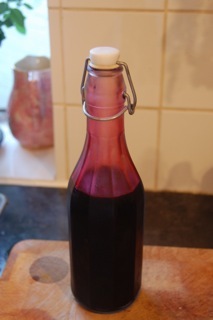 I have already posted my method for elderberry syrup making here, so I won’t repeat myself but this year I added a vanilla bean to the ginger, cardamom, clove and orange peel and it turned out really well, so tasty I keep sneaking to the fridge for an extra spoonful. 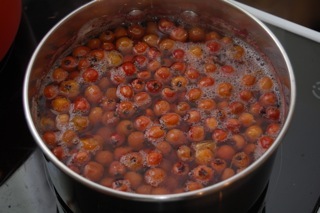 Next up was the hawthorn berry syrup. The Hawthorns round here have been so fat and large this year and the trees literally dripping in them. I wonder if that means we are in for another hard winter. 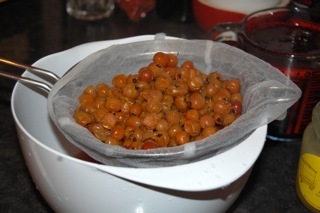 I made a simple hawthorn and ginger syrup by simmering them together in a pan with enough water to cover, straining the liquid and adding an equal amount of raw honey once the liquid had cooled sufficiently. I use a fair amount of ginger because I love the resulting taste of the two combined but you can adjust according to preference. You can tell when it is almost ready because the berries start to loose their colour. I simmered mine on a low heat for about half an hour. Berries starting to loose their colour. At the time of straining they have gone a yellowy colour. 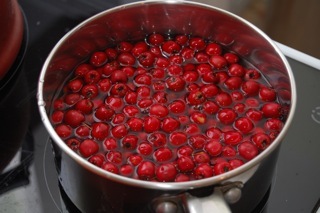 It’s basically the same technique as the elderberry syrup but it’s good to store your hawthorn syrup in jars rather than bottles because the berries are high in pectin which means it can set like a jelly and you’ll need to be able to spoon it out. 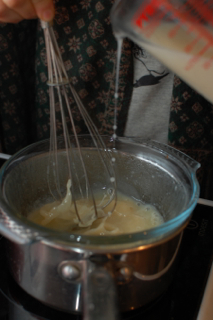 The more of the thicker, mushy liquid you strain into the end product the more likely it will set. There is lots of goodness in this bit too however, so I say go for it. Do be warned though as I can’t imagine many things more dissapointing than being unable to get at all my delicious syrup because it had set in the bottle. 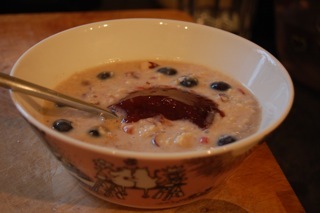 Look how firm the resulting syrup/ jelly is here on our morning porridge. 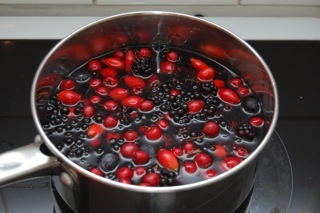 Finally, the pièce de résistance was the five berry syrup I made which included elderberries, blackberries, hawthorn berries, rose hips and sloes. I used the same technique again but this time added no spices or other flavourings and just let the natural flavour of the berries shine through. It’s so yummy I am wishing I had made litres of it! Give them a good mash to get all the goodness out. This syrup feels so vital and nourishing and is packed with antioxidants and other immune supportive constituents. 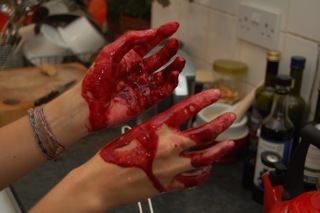 Another advantage is that it gives you a wonderful opportunity to polish up your Lady Macbeth impression. Watch out amateur dramatics… here I come. I hope your autumn has also been full of harvests and community or anything else that nourishes your soul.